3D Prin­ting seems to be finally hit­ting the mains­tre­am. Peo­ple are becom­ming awa­re of this new old tec­no­logy, much due to the fact that the avai­la­bi­lity and open sour­ce­ness of it is plun­ging down the cost of model prin­ting. The rea­lity of this is fal­ling like a ham­mer in the indus­try that is star­ting to see how dis­rup­ti­ve this tech will be. 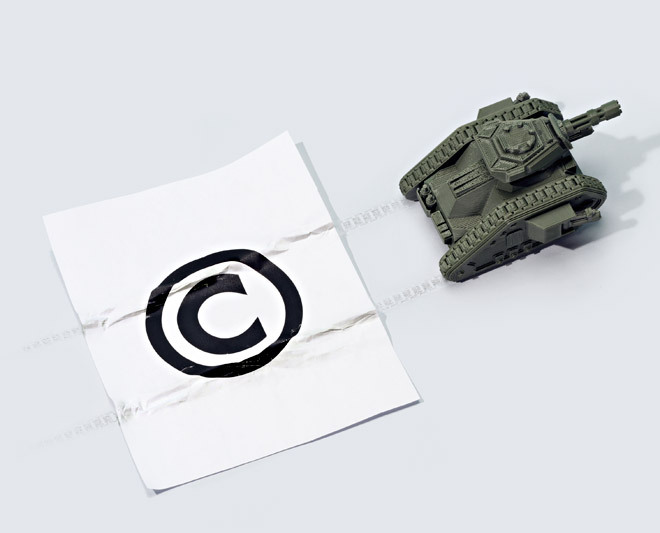 So much that law suits over copy­right have star­ted to hap­pen as we wri­te. beca­me an unwil­ling com­ba­tant in the next digi­tal war: the fight over copying phy­si­cal objects.